With approximately 75,000 homes impacted in the Woolsey Fire area, the Los Angeles County Sheriff’s Department understands how stressful this is for residents, as we share in your concerns for the safety your pets and property. Collectively, the Incident Management Team has determined there remains the need to have residents out of our fire area and remain evacuated for their safety. This is a wind driven event, and with the winds now coming back and expected through Tuesday, Fire and Sheriff’s officials remain concerned for the safety of our residents. 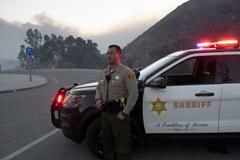 LASD has reports of numerous residents specifically in the Topanga area that have choose to shelter in place at their homes. The Department is advising to immediately leave and move to one of our shelters or to another location out of danger. For those who remain in the Topanga area, officials urge you to evacuate and allow Fire and Law Enforcement partners to move in to the area to protect the homes and properties. 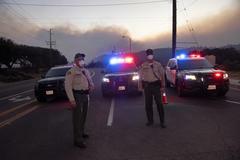 First responders are grateful for the patience and cooperation shown by the community. Currently, approximately 200 deputies have deployed in the affected areas to ensure and assist with these evacuation efforts. Deputies continue to work in partnership with Los Angeles County Animal Control for the safety of animals. We remind residents to Dial 9-1-1 for emergency assistance and for General Information dial 2-1-1. 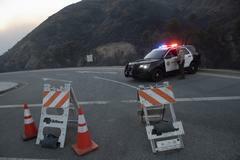 Although evacuation orders have been lifted for certain areas in Ventura County, Los Angeles County officials are warning residents affected by the Woolsey wildfire not to return to their homes. The evacuation zones have not been rendered clear or safe by first responders. The winds can also cause localized tree and power line damage.